Plenty of parking, behing closed gates at night. DVD player with library, radio, fridge, toaster, kettle, hairdryer, ironing board, iron, toileteries, hardwood furniture & parasol. 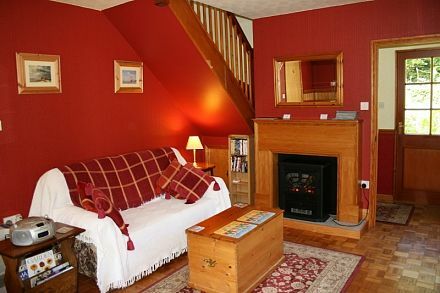 The apartment, which is for two people, is set in a wonderful 1.5 acre woodland garden. 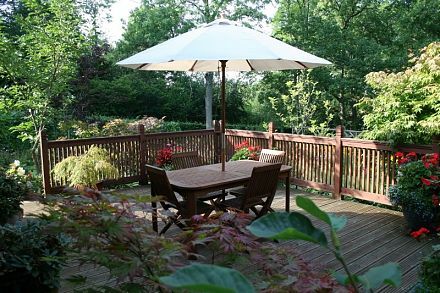 It has it's own raised deck for your exclusive use where you can relax with a bottle of your favourite wine. 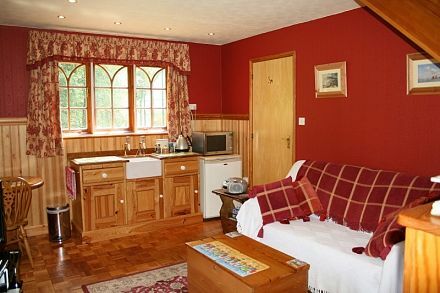 There is a lounge with kitchen and dining areas, 32" HD Freeview TV, full sized fridge, microwave, toaster, beverages, fresh milk, and cookie jar, with a door leading out onto the deck. 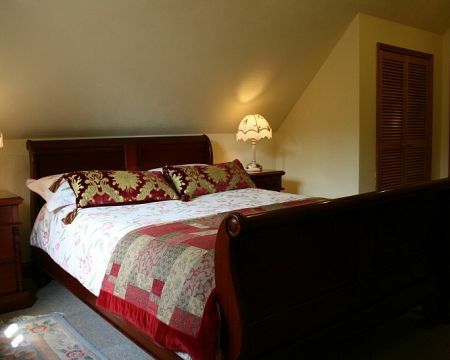 Upstairs, there is a large double bedroom with mahogany sleigh bed with the choice of Egyptian Cottton Sheets & Merino Wool Blankets or a Duvet. The bathroom has a Luxury Shower Enclosure as well as a full sized bath, a relaxing bath or an invigorating shower - the choice is yours! A gourmet breakfast, which is served in our dining room, can be chosen from our menu the night before so that we can have it all ready for you at a time of your choosing. Brickmoor is situated just 4 miles from the A30 trunk road and also 3.5 miles from the market town of Crediton on the A377.